Here is the conclusion to our blog series Colorado Bankruptcy Exemptions: FAQs. Q: What is the homestead exemption in Colorado? While these Colorado bankruptcy exemptions FAQs are informative, contact Denver Bankruptcy Lawyer Arthur Lindquist-Kleissler for specific advice about your case. A: This Colorado bankruptcy exemption is typically one of the most important exemptions that people are concerned about when it comes to filing for bankruptcy. With this exemption, people can exempt as much as $60,000 in their home or other property, according to Colorado law. The individual filing for bankruptcy, his spouse and/or a dependent is disabled. Any of the aforementioned individuals is older than 60 years. If a home is sold during bankruptcy, then the proceeds from the sale of the home (up to the allowable exemption) will continue to be exempt from the bankruptcy estate for up to one year after the sale as long as these proceeds are kept separate from a person’s other assets. If the exempt proceeds from the sale of a home are used to buy a new home, then the newly purchased home will still be eligible for protection by the Colorado homestead bankruptcy exemption. Contact an experienced bankruptcy attorney for more specific details related to your bankruptcy case and how the Colorado homestead bankruptcy exemption will apply to it. Q: What if I receive unemployment and/or veterans’ benefits? 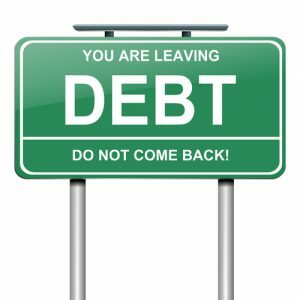 Are there specific Colorado bankruptcy exemptions for these benefits? A: Yes. In general, as long as a person doesn’t comingle these benefits with his other assets, unemployment compensation and veterans’ benefits can be up to 100 percent exempt from a bankruptcy estate. Here, however, people should realize that they may not be able to keep all (or even part) of these benefits if they owe money for child support, spousal support, etc. Again, if you have concerns over whether you unemployment and/or veterans’ benefits will be affected if you file for bankruptcy, contact an experienced attorney for most specific info about your case. Assisting them achieving the best possible outcomes to their cases.